Monday 7 a.m. - 11 p.m.
Tuesday 7 a.m. - 11 p.m.
Wednesday 7 a.m. - 11 p.m.
Thursday 7 a.m. - 11 p.m. Formerly Jabba. 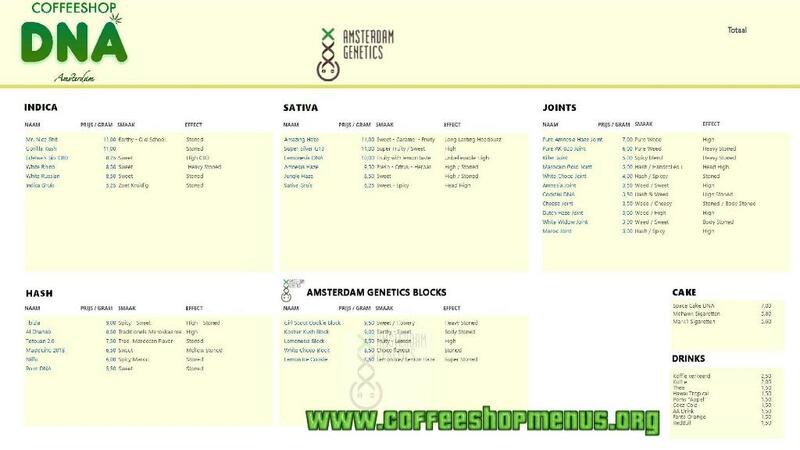 Now part of the Amsterdam Genetics empire. Christian from Spain. (living Ams) Sent 25 May 2009. I was around the neighbourhood when I saw this coffeeshop. They didn't say hello as I was waiting at the bar to order some weed (they only have 2 kinds of the worst weed I've ever seen in Amsterdam) and I was waiting for 5 minutes! The dealer was with his friends, smoking, laughing. This is not the way to do things. Now, I'm smoking this weed, and I don't really like it. Tomorrow I will bring my weed from the Centrum of Amsterdam. Pablo from Spain. Visited 2004. Sent 19 Jul 2005. Specialised in African weed along with normal varieties. Relaxed atmosphere, pool table, dartboard, pinball, toasties, friendly personnel. Typical neighbourhood coffeeshop.